I've been blessed with almost perfect weather on this jaunt across the West to visit friends and family. 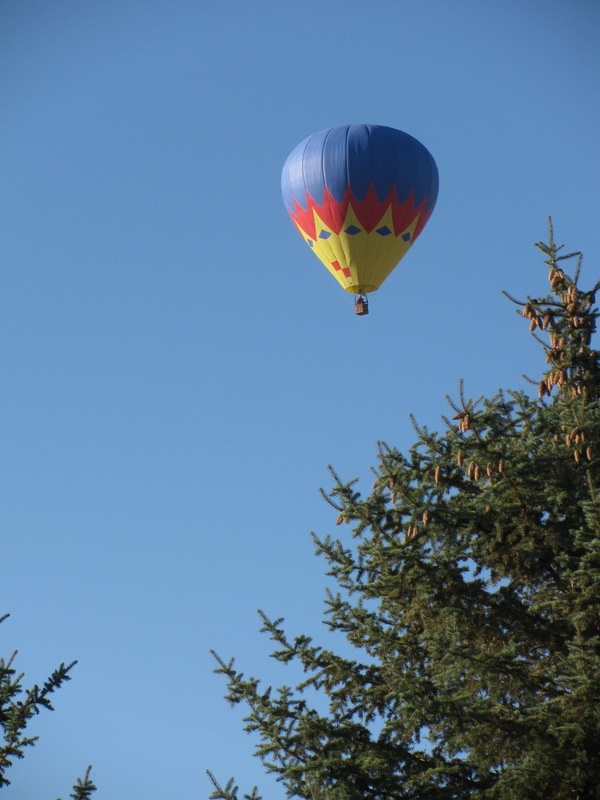 I snapped this beautiful hot air balloon just outside the door of my motel in Elko, NV. My stay here at my brother's in Reno has been relaxed and pleasant. We've caught up on all the family news, wandered an old Reno neighborhood admiring historic houses, browsed in a great independent bookstore and enjoyed a family barbeque hosted by my brother, Jim. 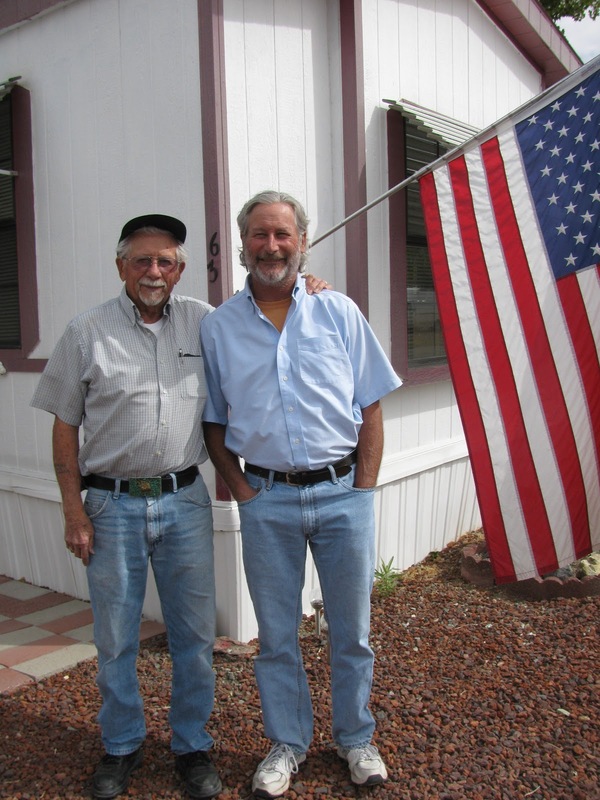 Yesterday we drove to Yerington to see my dad one more time before I fly to France. It was another difficult goodbye. But, hey...my dad has his passport. Maybe I'll be able to talk him into visiting me in Cadrieu? Ya never know! I'll be leaving tomorrow morning and will arrive in France on Wednesday afternoon. I hope to blog again by the end of the week. A bientot! My dad and my brother, Jim. Bon Voyage! I do so hope to see you this winter.